On Monday, Mediaite contributor Joe Concha interviewed former Alaska Gov. 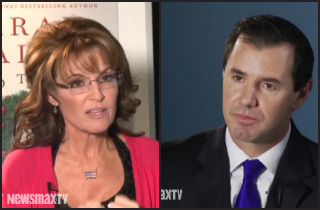 Sarah Palin for NewsMaxTV about NJ Gov. Chris Christie‘s electoral chances, the government shutdown, and Obamacare’s rollout.